RAPCO Inc. is a manufacturer of quality FAA-PMA approved replacement aircraft parts. 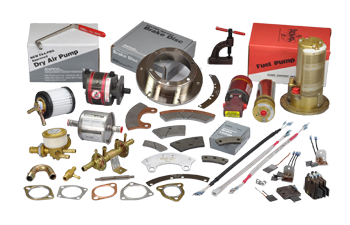 The product line includes pneumatic system components, brake wear parts, propeller de-ice products and fuel pumps. In addition exhaust gaskets, filters, tow pins and tools are also available. Since 1981 RAPCO has strived to develop and produce quality products that are offered at competitive prices and backed by our commitment to customer satisfaction.